OSWEGO, NY – Mary Jean Fortino Church, 61, of Oswego, died Saturday June 13, 2015, in Strong Memorial Hospital, Rochester. She was born in Oswego, the daughter of the late Rocco and Grace (Murabito) Fortino. Jean attended St. Mary’s elementary school and was a 1971 graduate of Oswego High School and homecoming queen her senior year at the high school. She was a 1975 graduate of SUNY Oswego with a Bachelor’s of Science degree and in 1980 receiving her Master’s degree in reading education. Jean was a reading teacher with the Oswego City School District, where she taught at St. Mary’s, St. Paul’s and Catholic High School, Kingsford Park, and Fitzhugh. 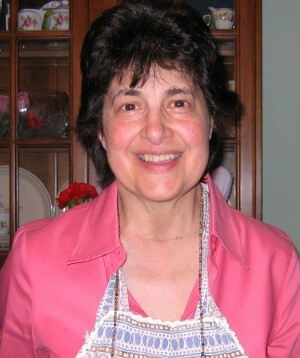 She was very well respected by her colleagues and worked as a reading teacher from 1975 until 2005. Jean had an abiding devotion to the children of Oswego whom she taught and also an affection for serving her community. She would often stay after school to help provide extra help to her students. Jean was active in the all school activities throughout her career. Jean was a volunteer for the Oswego Red Cross, the Cub Scouts and with the Oswego Children’s Board. She was a lifelong communicate of St. Mary of the Assumption Church, where she received her sacraments, and was married from. She would volunteer at St. Mary’s bazaars and church events in Hopkins Hall. Her strong belief in God guided her through her life. Jean was a dedicated mother to her two sons and throughout their lives was often found providing encouragement at soccer, lacrosse, and other sporting and community events. She is survived by her loving husband of 31 years, Michael L. Church of Oswego; and beloved sons, Michael Church and Christopher Church both of Oswego. In addition, she is survived by her brother, Francis (Nancy) Fortino of Massachusetts; her sister, Anne Marie (Gary) Rubin of Lake George; her longtime friend and cousin, Judith (Michael) Kenefic of Oswego; uncles, aunts and cousins. Funeral services will be conducted Wednesday 9 a.m. from the Sugar & Scanlon Funeral Home, Oswego, and 9:30 a.m. in St. Mary of the Assumption Church. Calling hours will be Tuesday 4 – 7 p.m. at the funeral home, 147 W. Fourth St., Oswego. In lieu of flowers contributions may be made to the Oswego Children’s Board or a charity of your choice.